Open houses take place every Sunday at Soaring Eagle Ski Trails. Itascatur reserves the right to cancel an open house due to inclement weather. If we do cancel an event, we’ll post that information on our website and on our Facebook page. 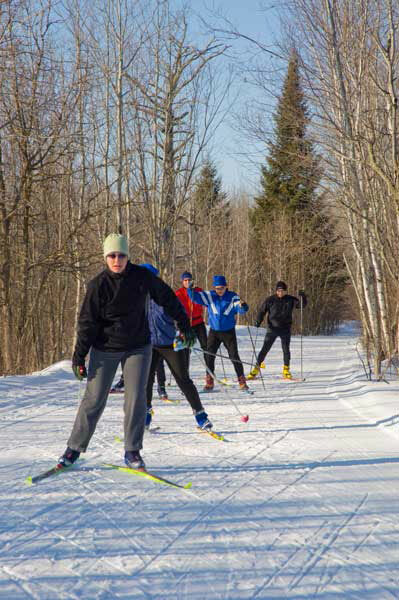 Enjoy our beautiful ski trails and have a cup of hot chocolate. Bring your own skis or check-out our ski equipment at no cost. We have adult and children skis and boots and poles. We will have volunteers to help you get started. A MN Ski Pass is required for skiers age 16 and over. Open Houses will be cancelled until we get new snow, check back here or at the Soaring Eagle Facebook page. Come enjoy our beautiful ski trails and have a cup of hot chocolate in our warming house. Bring your own skis or check-out our new ski equipment. We will have volunteers help you get started and answer your questions about our trails. 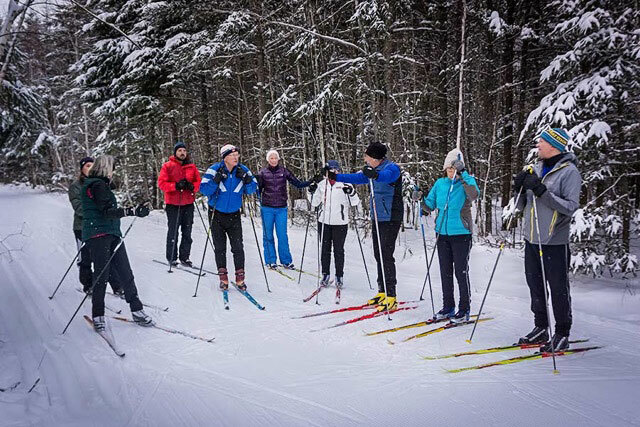 The ski center consists of 10km of marked and groomed trails through balsam pines and spruce. All trails are groomed classical and skate are designed for beginner to expert skiers. Soaring Eagle is located at 25467 US Hwy 71, 8 miles north of Park Rapids, and across from the Eagle View Golf Course. Ski Director Candy Malm can be reached here. A MN Ski pass is required for all skiers over the age of 16.